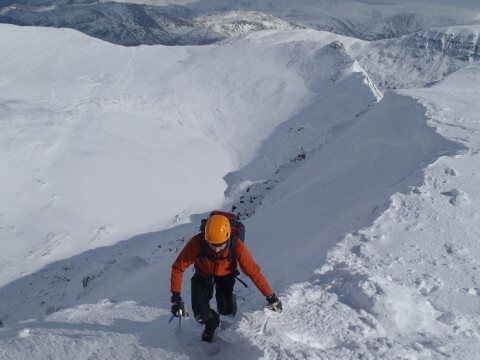 Each day in winter the Lake District National Park fell top assessors walk up Helvellyn to check conditions, with the ViewRanger smartphone app forming an essential part of their ‘safety net’. Jason Taylor and Jon Bennett work alternate seven-day shifts, climbing the mountain every day to take photos and supply a report for the National Park’s Weatherline forecast. Their comments on snow conditions, freezing levels, wind speeds and the state of the paths are a crucial aid to safety and are accessed by around half a million people a year. This year, the service has been temporarily extended beyond the end of March due to the prolonged wintery conditions. For the same reasons, four out of five Mountain Rescue Teams in England and Wales also use ViewRanger for safety and control, with over 1,300 mountain rescue team members using the app. And of course hundreds of thousands of regular outdoor enthusiasts use ViewRanger’s BuddyBeacon to share their location with friends and family - you can even add your tweets, twitpics and video. So next time you’re checking Weatherline (and obviously we recommend you do this before venturing onto the fells in winter), spare a thought for Jon or Jason who will be on the summit today. Access Weatherline via lakedistrictweatherline.co.uk or call 0844 846 2444.